There is no doubt that The Keyboard Company has always been the leading supplier of foreign keyboards. We keep stocks of every language that is available for use on a PC. We supply embassies, authors, businesses and in fact, everyone who has the need to type in a foreign language. These keyboards should be all you need to allow you to type in a foreign language on you favorite word processing package, IM or e-mail program. 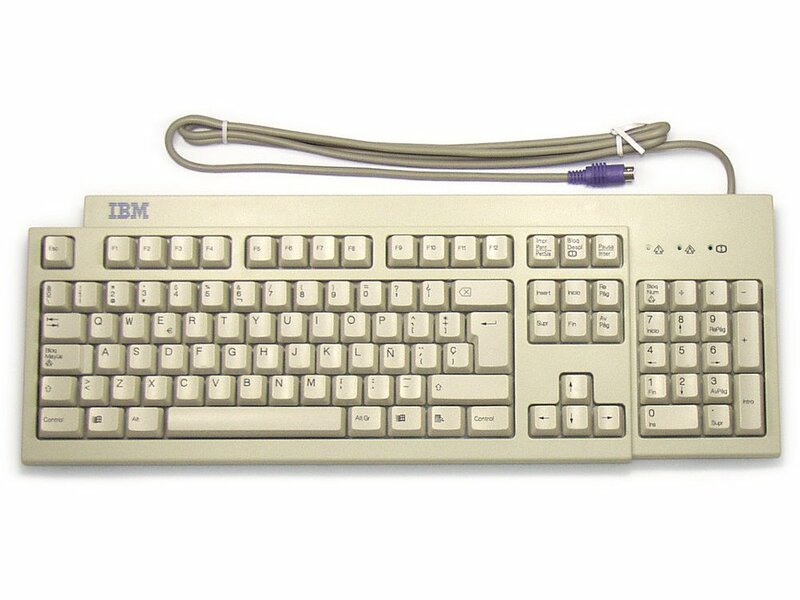 This is a genuine IBM Spanish keyboard, beige, PS/2 with wrist rest. Got it for my retro computer, and it certainly feels like a cheap keyboard from the early 90s. Keys are not too tactile, and the space bar needs quite a bit of force to register. Maybe over time it will give in a little and become easier on the thumbs. Other than that it's unremarkable, which is exactly what I wanted.